Melbourne-based managed services provider, Mobilise IT, has been selected by NRMA Roadside Assistance for the provision of mobility managed services. The contract was awarded in June and, according to Mobilise IT, the successful rollout was completed in December. NRMA was managing the fleet of mobile devices internally, but decided to look for a provider able to offer a fully managed service to its patrol workforce, who provides on the road assistance to broken down vehicles, flat battery and punctured tyres. ARN understands that the contract is valued at approximately $1 million. NRMA claims to be Australia’s largest member organisation. With more than 1,900 employees, it provides services including roadside assistance, international drivers’ licenses, car reviews and products and services such as insurance. As part of the two-year contract, Mobilise IT is providing its own mConcierge Premium managed services platform, which includes site audit and set up, asset register, mobile device support, advance staging and logistics, third party application support, mobile accessory support, hotswap and warranty management, on line support and reports portal via mConcierge. The services will cover 1,000 users of Samsung Tab Active devices. 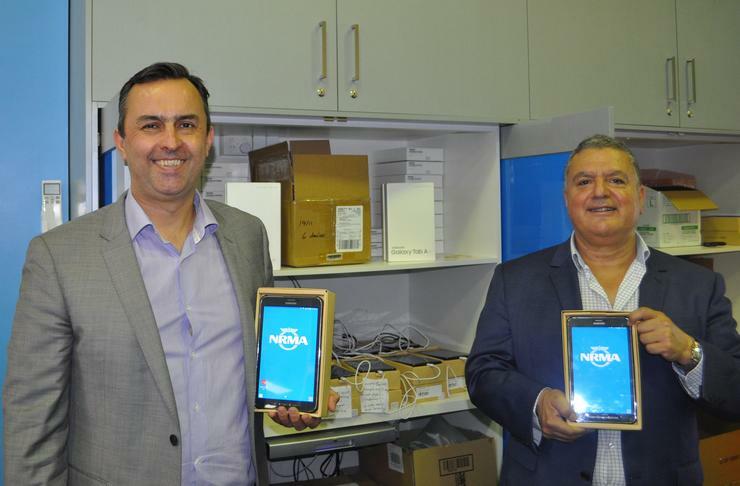 NRMA’s aim with Mobilise IT is to provide a standardised, secure and efficient managed device platform and support model for the NRMA workforce, business and contractors. The solution will improve the end-user experience, device security and reduce the operational burden of disparate legacy solutions. “Mobilise IT is tried and proven in managing large and dispersed fleets nationally and internationally with offices in Europe, Asia and soon to be in North and South America,” National sales director, Michael Cefai, said. According to Cefai, as a former Samsung Enterprise manager, he has maitaned a good relationship with the vendor. “We worked together with Samsung to successfully deploy our mobility managed services on the Samsung ruggerdised Tab Active on an Android platform,” Cefai added. Mobilise IT delivered the initial rollout six weeks ahead of schedule. Based in Melbourne, Mobilise IT was established in 2004. The company claims to be one of the largest independently owned mobility managed services companies in Australia with up to 150,000 live users under its management. Is the chip boom coming to an end?